Sugar Belle® ‘LB8-9’ | Florida Foundation Seed Producers, Inc. Description: Sugar Belle® ‘LB8-9’ was developed by scientists at the University of Florida’s Institute of Food and Agricultural Sciences, Citrus Research and Education Center. 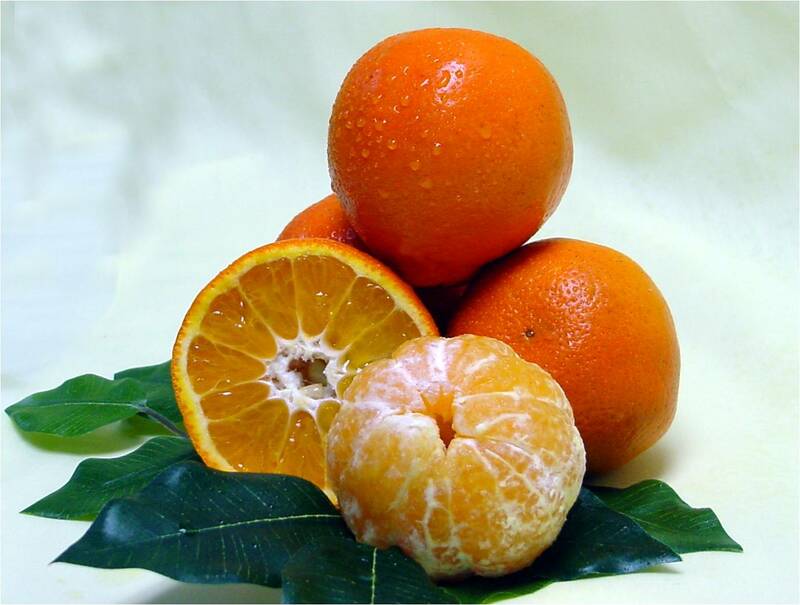 Fruit of Sugar Belle® ‘LB8-9’ resembles that of ‘Minneola’ tangelo in shape and appearance, but mature 4-6 weeks earlier, providing Sugar Belle® ‘LB8-9’ growers and packers with a distinct market advantage, particularly in the holiday season gift fruit market. The color and flavor of fruit of Sugar Belle® ‘LB8-9’ equals or exceeds that of ‘Minneola’. Trees of Sugar Belle® ‘LB8-9’ are very vigorous and will require horticultural manipulation to control size and cropping. 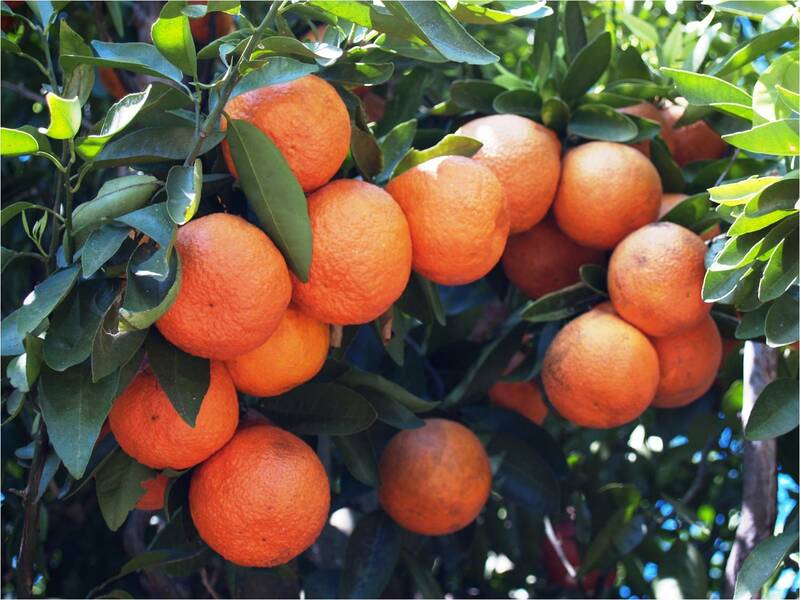 Fruit and foliage have high levels of resistance to Alternaria, which has been a serious problem on many other fresh mandarin varieties in Florida, so fungicide applications can be minimized. 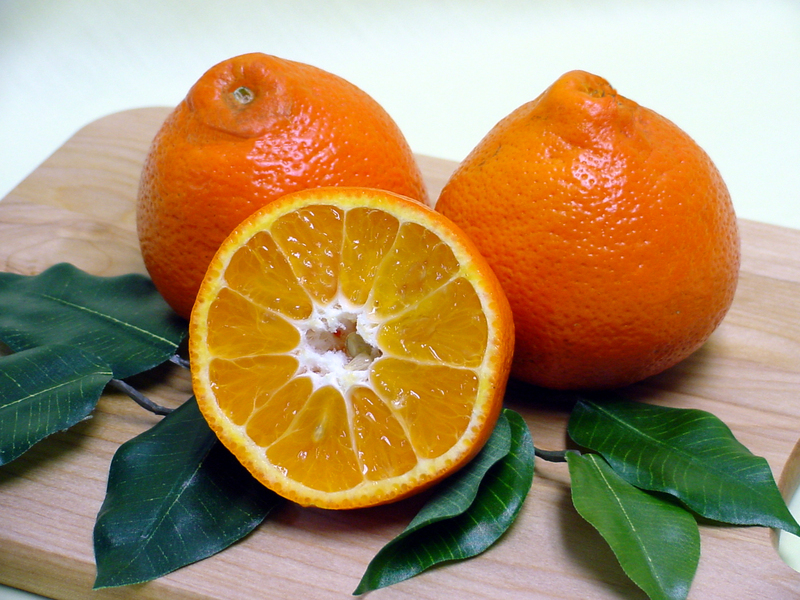 The unique flavor and aroma characteristics, along with the good balance of intense sweetness well balanced with typical citrus tartness, have great appeal to consumers; this has been confirmed by consumer taste panels that were conducted by a commercial polling company in three different US markets. 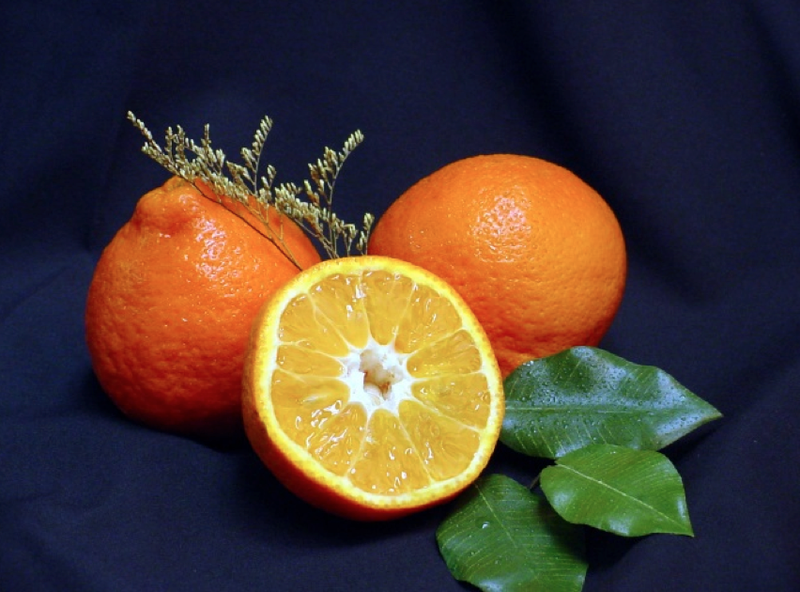 An additional bonus for health-minded consumers is considerably higher levels of vitamin C, compared with many other fresh citrus varieties. In head to head comparisons with several other commercial varieties, Sugar Belle® ‘LB8-9’ was selected as the best fruit in overall appearance, flavor, peel and flesh color, and size. Sugar Belle® ‘LB8-9’ has excellent potential as a new fresh fruit variety to meet the increasing demands for improved fruit quality coming from consumers. Ekland Marketing Company of California, Inc.